Freed from the constraints of preparing for my annual review, the last two weeks have been a chance to get stuck into some serious research. People say that having a solid plan of action is key to getting a PhD completed and to a certain extent I agree, but sometimes you have to follow your nose and deviate from that path. I find that if something piques my interest that’s when I do my best research, so I find myself frequently being directed by impulses – the key is knowing when to sto! In this vein, the last two weeks have been dedicated to creating a comprehensive document of all the people executed in the North East from 1869-1880, frequent readers of the blog will know that this period is of particular significance as in 1868 the Capital Punishment Amendment Act moved executions inside the prison walls and thus removed the crowd; people were henceforth executed in private. I have compiled a minimum of three execution reports for each person, taken from the papers (Newcastle Courant for the regional reports, The Times for the National angle and one other regional for reference). This is then subdivided into sections on various elements of the reporters e.g. last dying words, who the hangman was, was it a successful execution and most importantly were the press admitted. Using this, I hope I have the beginnings of a strong chapter and so I thought i’d give you the brief overview of what i’ve looked at – in the interests of brevity, I’ll make it a two or three parter over the next few weeks. Admission of the press to executions post 1868 was what had piqued my interest originally. Contemporary fears about execution becoming a private affair were largely around whether the right person would be hung and how the public would know justice had been done. In part to assuage this fear, the press were allowed to attend the execution and in some cases select members of the public, of which i will touch upon in later blogs. Given the public desire to have a witness present in the form of the press, the ambiguities in the wording of the 1868 Act itself, particularly in the section relating to admission, are remarkable. The sheriff charged with the execution, and the gaoler, chaplain, and surgeon of the prison, and such other officers of the prison as the sheriff requires, shall be present at the execution. Two things are clear from this, the first is that contrary to popular historical belief, there is no mandatory requirement stipulated for the press to be admitted. Secondly, the Sheriff appears to have singular control over the event and is only bound in who he admits by whether he deems them ‘proper’ or not. 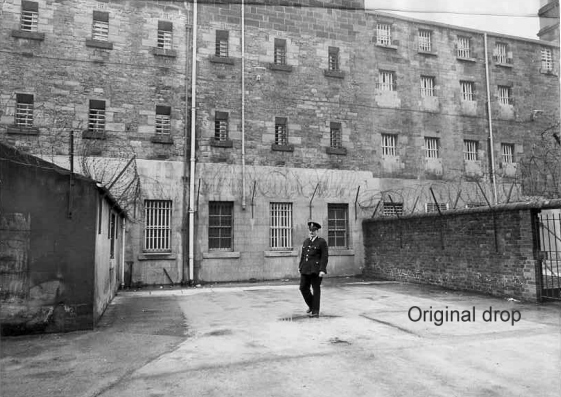 There is one further section allowing intervention by the Home Secretary, the grounds for which perfectly highlight the elements of the execution that the authorities were most keen to manage. One of Her Majesty’s Principal Secretaries of State shall from time to time make such rules and regulations to be observed on the execution of judgment of death in every prison as he may from time to time deem expedient for the purpose as well of guarding against any abuse in such execution as also of giving greater solemnity to the same, and of making known without the prison walls the fact that such execution is taking place. With this confusion in mind I wanted to see how the act had been implemented in the North East. Too often historians have ended great histories on the gallows and execution at 1868, as if it was a sort of symbolic endpoint of a barbaric past and the beginning of an enlightened era, but I am always amazed how quickly they make these assertions without any reference to execution post 1868. My sneaking suspicion was that the 1868 Act was as much about regaining control over the execution spectacle as anything else and I suspected that, left to their own devices, the local authorities would quickly use the act to assert as much control over the execution spectacle as they could. If the last two weeks of initial research are anything to go by, I may be on to something. As with all detailed history, there is no simple linear narrative, but it appears in the North-East that the press were steadily removed from the execution spectacle across the period I sampled (1869-1880). Of the eighteen people executed (a number higher than the previous 30 years combined) the majority died with no press representatives present. What is really interesting is why. It appears that there was an inherent clash between what the authorities deemed necessary to report and what the newspapers thought their audience wanted to read. What ensued was a battle for access between the authorities and the press that will be the subject of my next few blogs. One other achievement this week was that I managed to finally give Barry Redfern, something that was useful to him, after all that he’s provided for me. Having started my PhD reading his book, The Shadow of the Gallows, all about crime and criminal justice in c18th Newcastle, I stumbled open this quote that I knew he’d like, from the execution report of Robert Vest in 1878. The antecedents of Vest are of a peculiar kind, and according to his statement made to the River Wear Police, he has felt the shadow of the gallows hanging over him for a period of a quarter of a century, drinking habits, and the reading of light, trashy literature having brought about that state of mind in him. A chance shuffle on my iphone brought up this Morrissey song the other day. I hadn’t heard it for years,, but it had always been a favourite of mine and listening to it afresh I found the lyrics were pretty fitting for someone studying crime and punishment. The final refrain could be a perfect summation of my last year and the two to come. In the midst of life we are in death ETC. 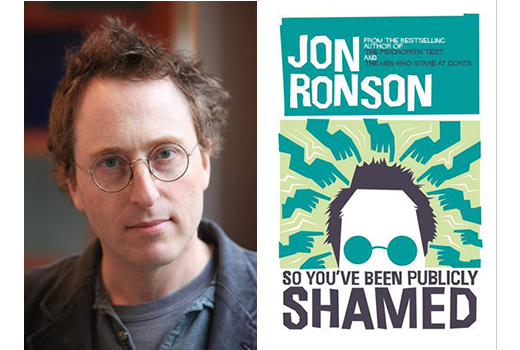 Distraction 2: Jon Ronson – So You’ve Been Publicly Shamed. This second distraction is written through gritted teeth. Someone has written the book I secretly wanted to! On the plus side, it’s far more engaging than I could have ever made it – I read it in an afternoon. Jon Ronson has taken on the dark world of social media shaming and used some cases of people whose lives have been ruined by minor indiscretions online. In the book he shows how these peoples lives have been ruined by something as innocuous as a misjudged joke on Twitter, that has had the misfortune to meet the opprobrium of the angry online mob. What is particularly fascinating is the parallels he draws between this type of shaming and public punishments of ages past. For the first time in 180 years – since the stocks and the pillory were outlawed – we have the power to determine the severity of some punishments. And so we have to think about what level of mercilessness we fell comfortable with. defining the boundaries of normality by tearing apart the people outside of it.